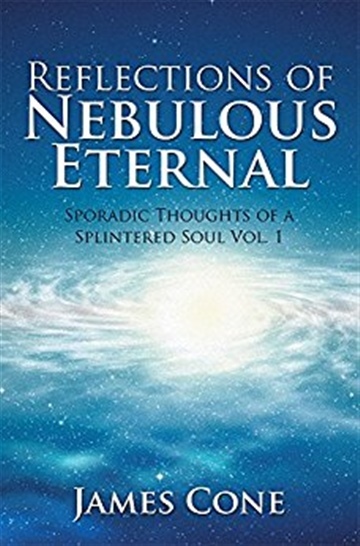 Reflections of Nebulous Eternal is a book about spirituality and internal reflection delivered through poetic thought. I don’t want people to read it as just various poems to entertain. I want humanity to study the words delivered on the pages and reflect on them. See through the eyes of this splintered soul and how it views Nebulous Eternal aka Earth. As well as understand that we have the power within ourselves to turn the ugliness of the world around. Whether you believe in a higher being or not, we have the power to manifest a brighter or darker reality. The choice is ours and that is the focus in my book Reflections of Nebulous Eternal. Reflect on the state of humanity and decide do you want to be a cure all or a cancer to your own life and to the lives of others. Every day we wake up we have a choice to be a blessing or a burden. Which will you choose? My goal is that even after I transcend from the physical realm future generations will read my book and let the words become a mantra within themselves to be a better entity on this plane of existence every day they are here and pass it on to the children. Love and Compassion with the goal of Empathy is the totality of what I am to achieve in life and this book is a small contribution to reaching that goal. Love, Light, and Serenity. A single father of 3 sons that writes to spread Love, Light, and provoke thought in the minds of humanity. Born in Little Rock, Arkansas and raised in Jacksonville, Arkansas James J. Cone joined the USAF at the age of 19 and has traveled the world; gaining insight from various points of views which also aide him on his never ending quest for spiritual development.